The sparkling jade and silver pendant in the picture above is birthstone necklace by My Sphere of Life. Lovely isn't it? I was very kindly sent it when I asked My Sphere of Life if I could write about their birthstone collection of jewellery on A Bad Witch's Blog. A birthstone is a gem or crystal associated with the month in which a person was born and symbolises the qualities of that time of year. Birthstones have been worn as jewellery throughout history and by people all over the world - although with many variations in the crystals used and their meanings. In the west, birthstones have been popular since the first century, after the Jewish historian Josephus wrote about a connection between the 12 stones in the breastplate of Biblical figure Aaron, the 12 months of the year and the 12 signs of the zodiac. Both early Christians and those of the Jewish faith would often wear the appropriate stone for each month rather than just wearing the birthstone for their own birthday. But an interest in birthstones dates back much further than that. Early civilisations, including those in India and Babylon, thought that gemstones had magical properties and saw a connection between certain stones and certain months or times of the year. Astrologers also assigned gems of different colours to the 12 signs of the zodiac to help people influence the planets in their favour. Nowadays, birthstone jewellery is worn for many reasons. Incorporating a birthstone into a ring, pendant or necklace makes it particularly personal. You certainly don't need to believe in the magical power of crystals to wear a birthstone but, for those who are interested in meaning and symbolism of gems and stones, a birthstone is the ideal crystal to start by buying. And, of course, birthstone jewellery makes a great gift. January’s birthstone is Garnet, a stone that symbolises truth and knowledge. The stone is thought to bring success in business and boost self-esteem. It is also thought to cure depression and help protect the wearer on journeys. February’s birthstone is Amethyst, a stone symbolising wisdom and spiritual purity. The stone is thought to help keeping a clear mind and focusing at times of great stress, as well helping with insomnia. March’s birthstone is Blue Topaz, a stone symbolising spiritual rejuvenation. The stone is thought to calm and balance emotions, release tensions and give feelings of joy. April’s birthstone is White Topaz (also called Clear Topaz or Silver Topaz). The stone is thought to help one find their purpose in life, and help achieve one's goals faster and easier. May’s birthstone is Jade, an ancient stone used in the far east to attract love and money. The stone is thought to help with making important business decisions and guard against accidents. June’s birthstone is Pearl, the only organic gemstone. The white pearl symbolises innocence, faith and honesty, and reminds the wearer to stay true to themselves and lead an honourable life. July’s birthstone is Cornelian. A stone once worn only by the noble classes, it is thought to increase energy and give strength, calm bad tempers and encourage laughter and humour. August’s birthstone is Peridot. Once given by Napoleon to Josephine as a symbol of undying love, this stone symbolises noble emotions, a pure heart and a moral soul. It is thought to protect against negative feelings and harm. October’s birthstone is Rose Quartz. Considered the stone of love, Rose Quartz is thought to help with all matters of the heart, getting the spark and romance back into your marriage or attracting your true soul mate. November’s birthstone is Amber. Amber is not an actual stone but fossilised sap from ancient trees, ageing over millions of years. Amber symbolises courage, and has been used in the far east for protecting travellers and warding off bad spirits. It is thought to promote good luck and success. December’s birthstone is Lapis Lazuli. Worn by high priests in ancient times, it is considered to be a very powerful healing stone. It represents tenderness and creativity, and is considered extremely lucky for those engaging in any form of art. 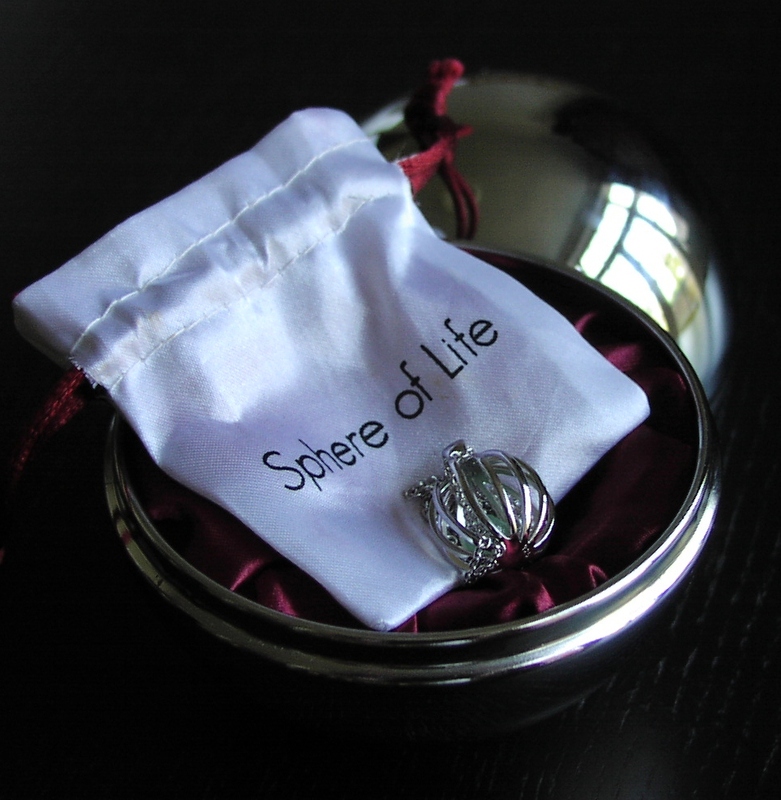 My Sphere of Life sells birthstone jewellery, like the one in the photos above and to the left, the containing crystals for each month of the year. The birthstone collection comes in three different styles and sizes. The one pictured is the largest size. 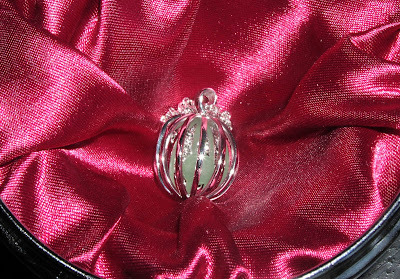 The gem is encased in a sterling silver cage pendant on a silver chain and comes in a rather nice spherical metallic gift box with silky lining and its own little drawstring bag. There is a smaller cute-sized pendant and also a gemstone charm to put on a charm bracelet. If you decide to buy anything from the My Sphere of Life website, the company is offering readers of A Bad Witch's Blog £10 off purchases of £20 and over. All you have to do is use the following discount code when you order: WITCH12. The code can be used any time up to 31/12/12. Hi there! Just wanted to say I linked to your wonderful site in a Versatile Blogger Award post over at Wandering Arrow. Hey there! Do yοu uѕе Τwitter? Ι'd like to follow you if that would be okay. I'm undoubtedly enjoying yοur blog and lοok forwarԁ to new updatеs. Symbols have played a key role in describing many of the components in Alchemy: solutions, solids & gases, along with the seven ruling planets and noble metals. By using geometry we have created new calendar and crystal symbols based on the relationship that exist between mathematics and the ruling planets. Read more about it on my blog. Thanks for the detailed information about the birthstones for all months. Now I am going to my birthstones from Ikon Gems Co., Ltd.